Kids love to climb, and instead of having them, and you, climbing the walls, why not take them out to a gym where the whole family can climb! 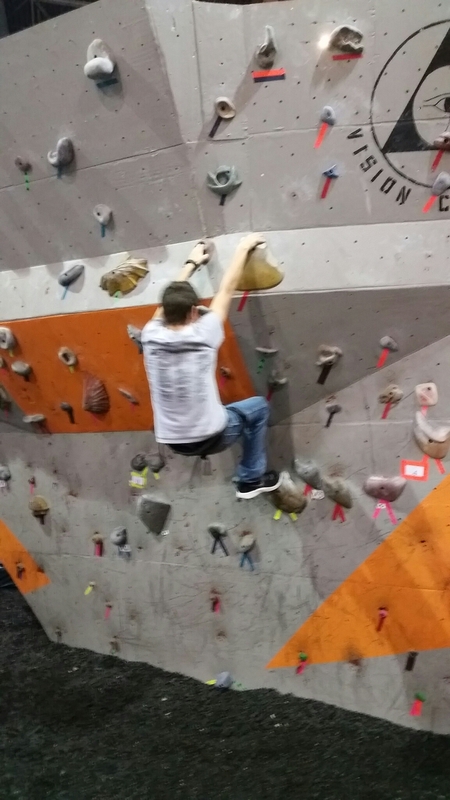 We headed out to Dyno-Rock Climbing Gym in Arlington, and they had a blast! With PLENTY of lines and places to climb, my older kids were definitely challenged, and my seven year old was able to reach the top of all the courses he tried, about 8! Kids much younger than him were climbing, too! I think my kids all started climbing at about age 2 or 3, and they still love it! Before we knew it, we had spent 4 hours at the gym, and I had 3 wore out kids! 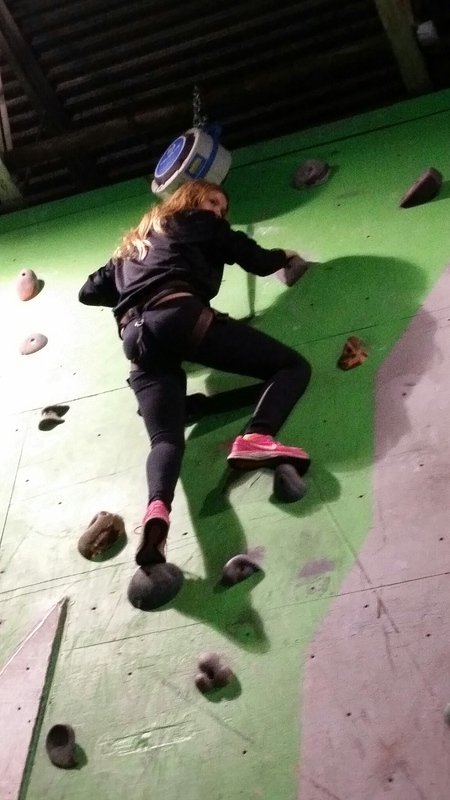 Climbing isn’t only fun, it’s a great workout, too! 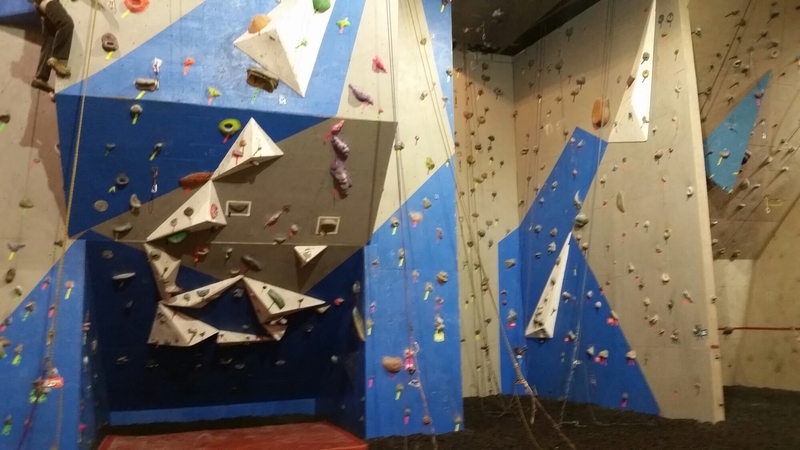 Whether it’s your first time to climb, or your first time for the new year, you’ll love Dyno-Rock! 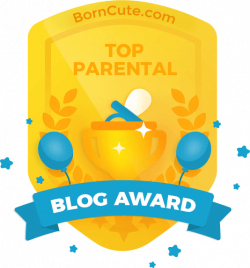 Check out my Mommy Tips for making the most of your visit! Wear running or athletic shoes, or you can rent climbing shoes at the center. Every climber and anyone belaying MUST sign a waiver! 1. Print off a safety waiver. Click HERE to get waiver. 2. Fill out the top half with the child’s information. 3. Parent or guardian signs the bottom half. 4. Either a.) get the form notarized or b.) Show the adult’s ID with the waiver (a photocopy or picture on your phone will work). The day pass is $12/person. There is another $4 for a harness. You can come and go all day with this pass. An ideal visit would be to come when they open, climb for a couple of hours or until your exhausted. Then leave, get lunch or dinner and rest, then return afterwards for a couple more hours of climbing! Food and drinks are allowed to be brought inside the gym. They sell gatorade and snacks. There are picnic table scattered around the gym where you can leave your things. Check Groupon for occasional specials. 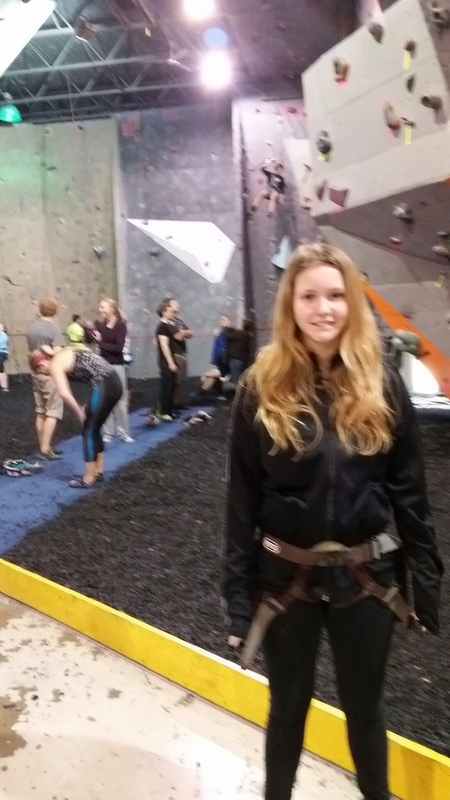 Once you are in your harness, one of the employees will give you a short tour of the bouldering wall, the automatic belaying equipment, and instruct you on how to belay. Then you are on your own! To belay means you keep the climbers rope tight while they climb so that they don’t fall, and you gently lower them to the ground when they are done. A fall from the top can be serious and deadly. 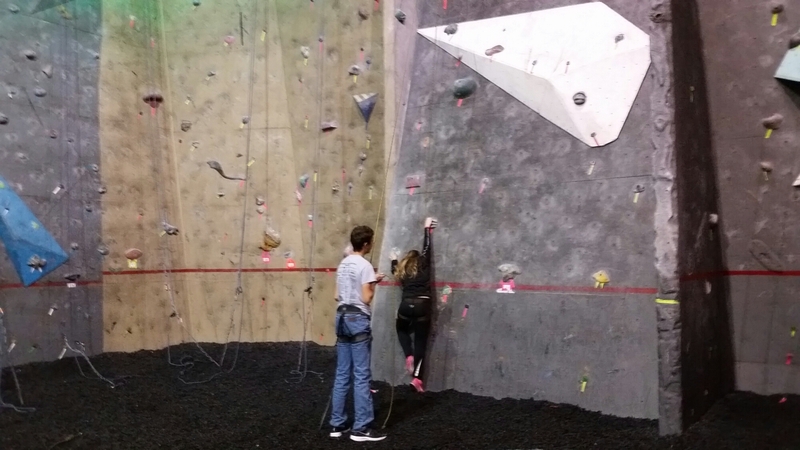 To climb the walls, you must have a partner who can belay you, or you must belay your child while they climb. You must be 14 or older to belay. If you are only belaying your child, (not climbing) you will need to wear a harness and pay the $4 rental for it. Bouldering basically means climbing without a harness. 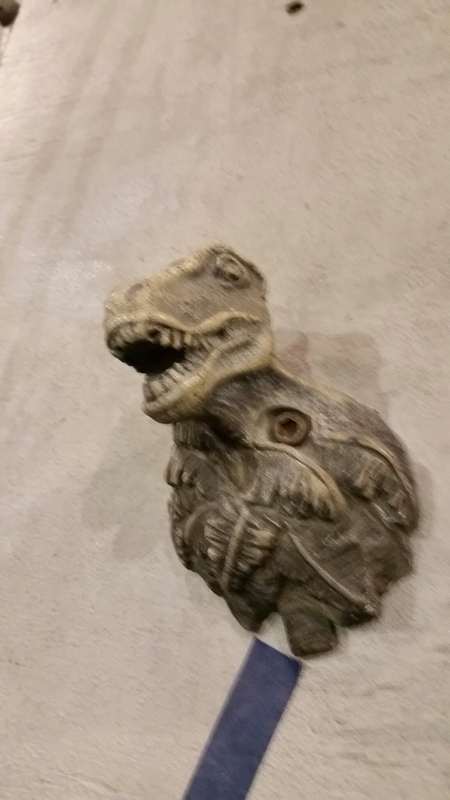 Dino-Rock has a bouldering area, and you must be 18 to use it. We had my son’s 9th Birthday Party at Dynorock, and the kids had such a great time! We had a private party roo. We were allowed to bring in food and drinks, I even brought a crock pot! They didn’t have a freezer for ice cream. Pricing is per child, not a base rate.